The Israel Antiquities Authority captured a group of thieves attempting to sell eleven ossuaries looted from a tomb in Jerusalem. The IAA issued a press release about the arrest and plunder today. Shallow engravings, etched in the past by means of a sharp stylus, were found on the walls of two of the seized ossuaries. They cite the names of the deceased whose bones were collected in the coffins. One of the engraved ossuaries that were found bore the name “Ralfin”, written in squared Hebrew script characteristic of the Second Temple period. This name is apparently a Hebraized form of an unusual Roman name. According to Dr. Eitan Klein, deputy director of the Unit for the Prevention of Antiquities Robbery, who examined the ossuaries, “this is the first time this name appears on an ossuary from the Land of Israel”. On the other ossuary is a Greek inscription that could not be deciphered, and below it the name “Yo‘azar”, in squared Hebrew script. The name Yo‘azar is a common Jewish name in the Second Temple period, and occurs in contemporary written sources, such as Josephus’ writings. The name appears in this form and a slightly different form – “Yeho‘azar” – on numerous Jewish ossuaries from this period. Some of the ossuaries were engraved with inscriptions in squared Hebrew script, characteristic of the Second Temple period and some bore Greek inscriptions, including the names of the deceased. According to Dr. Eitan Klein, “these are singular finds. The inscriptions on the ossuaries provide us with additional characters and names from amongst the Jewish population in the Second Temple period, and the motifs adorning the ossuaries will supplement our knowledge with new information about the world of Jewish art in this period”. Dr. Klein stated, “There is no doubt that the ossuaries were recently looted from a magnificent burial cave in Jerusalem. Remnants of paint remained on top of the ossuaries and the containers themselves belong to the group of “magnificent Jerusalem” ossuaries that were manufactured in the city in antiquity”. The full press release is here. High-resolution images are available from this link. Photographs by the IAA Unit for the Prevention of Antiquities Robbery. This video captures the “streams in the desert” during a recent flash flood in the Nahal Zin. The spring season of excavations at Tel Burna has concluded. Mark Hoffman describes the new Google Maps Gallery and National Geographic Lands of the Bible Maps. Larry Mykytiuk is on this week’s edition of The Book and the Spade discussing 50 Real People of the Bible, Confirmed by Archaeology (direct links to part 1 and part 2). Seetheholyland.net now covers 100 sacred sites (Christian, Jewish, Muslim and Baha’i) and other places of interest for Christian pilgrims to the biblical world. Ferrell Jenkins comments on the attempted donkey sacrifice at Nebi Samwil. BibleX links to an article on the Living Torah Museum in New York. Popular Archaeology summarizes the recent excavations at Abel Beth Maacah and includes many photos. The Rose Guide to the Temple is now $3.99 for the Kindle. Lorenzo Nigro, co-director of the recent excavations of ancient Jericho (Tell es-Sultan), has posted on the ASOR Blog a summary of discoveries since work began in 1997. You’ll want to read it all to learn about the Neolithic, Bronze, and Iron Ages, but I would note the brief paragraph relevant to the Bible. The Middle Bronze III city was the object of a violent military destruction, which reduced the role of the site and left a heap of ruins in the place of the city, definitely marking Jericho as an emblematic ruin in collective imaginary. The excavators are following Kathleen Kenyon’s conclusion that the conquest of Jericho was a myth that the Israelites invented because they saw a destroyed city. Bryant Wood has argued persuasively that the city was not destroyed at the end of the Middle Bronze Age (circa 1550 BC) but instead at the end of Late Bronze I (circa 1400 BC), the same time when the Bible describes the Israelite attack. The article includes a series of photos. The one below was taken during my travels earlier this month. This limestone monument, known as the Kurkh Monolith, is approximately seven feet high and is now located in the British Museum. Discovered in 1861 in Kurkh, Turkey, it was originally carved in c. 852 BC by the Assyrians. The cuneiform writing on the monument refers to a battle at Qarqar involving King Ahab of Israel, who is also frequently referred to in the Bible (cf. 1 Kings 16-22). Of interest to Biblical studies is the fact that the battle mentioned on this monolith is not mentioned in the Bible, thereby indicating that the Biblical writers were selective in the events they recounted. 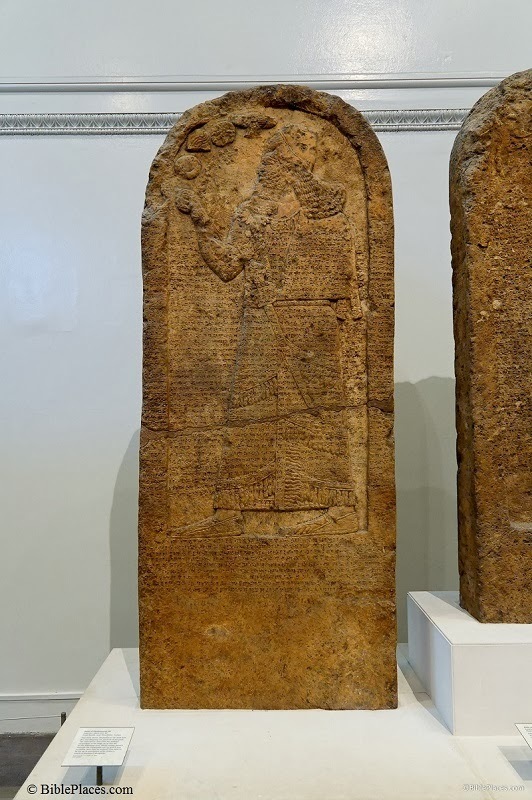 Further, King Ahab is depicted in the inscription as being one of the major military contributors to a coalition of local forces which was assembled to counter the Assyrian threat. This coalition also included Damascus, which was often at odds with Israel. Though the monolith contains the typical Ancient Near Eastern talk by the Assyrian king claiming victory and so forth, it appears from subsequent events that the battle may not have gone so well for the Assyrians. The Antiquities Authority announced Tuesday that it would construct the Middle East’s largest archeological library in Jerusalem. The library, to be called The Mandel National Library for the Archeology of Israel, is to house nearly 150,000 volumes, including 500 rare books and over 1,000 periodicals, the authority said. The adjacent Jack, Joseph and Morton Mandel National Archeological Archives is to contain the authority’s archive as well as maps, permits, plans and publications of excavations from the British Mandate period through today, serving researchers and the public. Both buildings, made possible by a donation from the Cleveland-based philanthropic Mandel Foundation, are to be part of the authority’s Schottenstein National Campus for the Archeology of Israel, currently under construction. The 35,000-square-meter campus, designed by renowned architect Moshe Safdie, is scheduled to be completed in April 2016 and will serve as a visitor center for the Antiquities Authority, as well as its official headquarters. The full story includes a photo. For the background of the Moza temple see Todd's informative post showing the location of the Moza temple and discussing its significance for biblical studies. The Iron Age II site of Moza (likely the biblical site of the same name, cf. Josh. 18:26) sits right in the path of the ongoing expansion of the Jerualem-Tel Aiv road (highway 1) right below the modern city of Mevasseret-Zion. In the course of salvage excavations to build the road on the slopes of Moza, the excavators encountered a unique Iron II temple with fantastic cultic finds that seems to date to the Iron IIA and Iron IIB (c. 1000-701 BCE). Stratum VII represents the first phase of the Iron II, which the excavators dated to the 10th centuries BCE on the basis of a destruction that they relate to Shishak’s campaign (925 BCE, cf. 1 Kings 14:25). Stratum VI is the continuation of the Iron IIA habitation at the site in the 9th century BCE before the temple was renovated and the cultic material was buried in stratum V in the 8th century BCE (Iron IIB, perhaps by Hezekiah) (Greenhut and De Groot 2009; Greenhut 2012; Kisilevitz and Eirich-Rose 2013). Specifically, the altar and standing stones (masseboth) at the entrance of the temple were purposefully buried and the purpose of the building was changed from stratum VI to V.
Could this site be an example of the ubiquitous statement of “the high places (that) were not taken away, and the people still sacrificed and made offerings on the high places” (e.g. 1 Kings 22:43, cf. 15:14)? The writer of Kings indicates that these high places persisted until the reign of Hezekiah (2 Kings 18:1-4, 22) who removed them. Previously, archaeologists have sought to show Hezekiah’s (or Josiah’s) cult reformation at the sites of Arad and Beersheba (see below), perhaps the Moza temple is another example of this cult reformation. Similarly, its existence during the 10-9th centuries BCE provides an important touchstone for the cultic descriptions of the various Judahite monarchs until Hezekiah. It should be noted that Moza strata V and IV (Iron IIB-Iron IIC) show evidence of large grain storage in the form of silos and a public storage building (building 150) (Greenhut and De Groot 2009; Greenhut 2012). In light of this, it is worth mentioning that the ancient site sits very close to the ancient route from Kiriath-Jearim to the Central Benjamin Plateau. Interestingly, the narrative that discusses David’s moving of the Ark of the Covenant’s from Kiriath-Jearim to Jerusalem (2 Samuel 6) indicates that David stopped the procession “at the threshing floor of Nacon” after Uzzah's fatal touching of the ark and placed it in the house of “Obed-edom the Gittite” who was blessed due to its presence (6:7-11). Could there be a connection between the 10th century BCE temple (stratum V) and this narrative? Ultimately, it is impossible to say, but the parallels between grain abundance, geographical setting and archaeological sequencing are compelling. In any case, it appears that Moza stratum VI is a clear example of a 9th century BCE cult context that may be related to ongoing Judahite cult activity outside the Jerusalem temple. For an actual threshing floor right below Kiriath-Jearim see here. 2012 Moza and Jerusalem in the Iron II: Chronological, Agricultural and Administrative Aspects Unpublished Official. IAA Website. 2009 Salvage Excavations at Tel Moza: The Bronze and Iron Age Settlements and Later Occupation. IAA Reports 39. Israel Antiquities Authority, Jerusalem. 2013 New Evidence of Religious Practice in the Jerusalem Environs during the First Temple Period, Based on Recent Excavations at Tel Moza. In Baltimore, November 20. 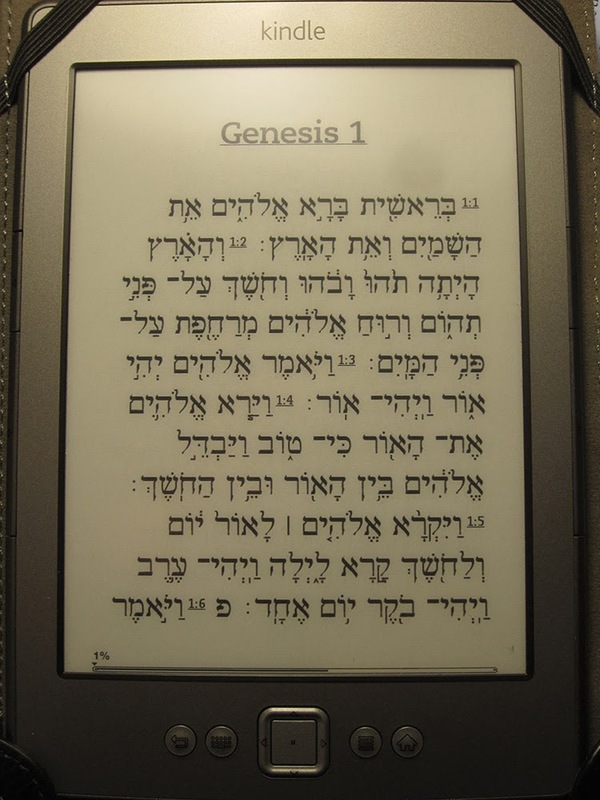 Bryant Wood made the case that Khirbet el-Maqatir is biblical Ai in a lecture he gave at the recent symposium held at Houston Baptist University. Biblical Archaeology Review has posted online the documentation for this month’s cover story, “Archaeology Confirms 50 Real People in the Bible.” This is a valuable resource, and more easily accessible than the author’s monograph. An alabaster statue of a New Kingdom princess has been discovered in excavations near Luxor. The 6-foot statue was once part of a 56-foot-tall statue that guarded the entrance to a temple. BibleX points to an article on the time and cost of Paul’s missionary journeys. Israel experienced a very bad dust storm earlier this week, resulting in the closure of a number of the country’s airports. Mark Hoffman explains how to make a custom Bible map using Accordance as well as other options. The ASOR Archaeology Weekly Roundup links to stories about Pompeii, the Apostle Philip, and more. Luke Chandler invites you to join him on a tour of Israel. At $3,300, it is one of the most affordable trips I know of. Wayne Stiles flew out to Israel yesterday and will be blogging about his trip daily. He also will be posting new pictures on his Instagram feed. I’m heading over as well, but I don’t expect to have much time to write on this blog while I am away. “1. My Sea of Galilee- An Israeli show that describes the development of the Sea of Galilee, the settlement around it till this day. 2. An artistic presentation- An experience of sound, color and rhythm. The show is young and dynamic, with different communal aromas. 3. Past grows the Future- Integrates a huge project of the Municipality of Tiberias that participates the young generation in conserving tradition. 4. Classical show- Classical music creations with international artistic creations.” (Source: Go Galilee). But the show’s demise is the cause of rejoicing among some of Tiberias’s residents. According to an article in Merkaz HaInyanim Zafon that was reported in the Caspari Center Media Review, the mention of Jesus walking on the water was not welcome. Conflicts between the secular (who pursue money, and therefore tourism) and the religious (who prioritize purity) are part and parcel of Israel’s society, and vandalism by the religious community is not uncommon. In this case, an attraction that has been compared to the Fountains of Bellagio in Las Vegas and the Magic Fountain of Montjuïc in Barcelona has been lost. Two videos capture some of the sound and light show: a 2.5-minute clip and a more impressive 12-minute version below.